A new round of crossover characters have been announced for the indie Wii U title Runbow. 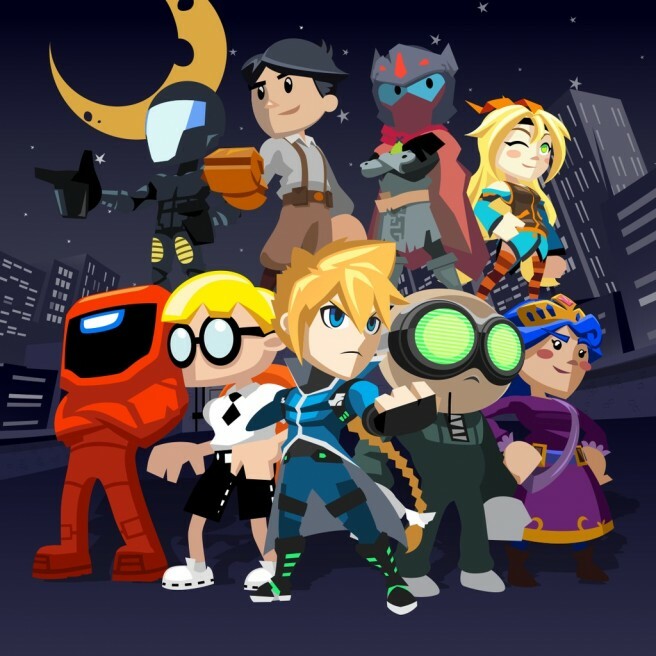 Gunvolt from Azure Striker Gunvolt, Teslamancer from Teslagrad, Clone from Stealth Inc, ARID from The Fall, Xeodrifter from Xeodrifter, Princess from Chariot, Max from Mutant Mudds, Drifter from Hyper Light Drifter, and Unity Chan (Unity Japan’s mascot character) will all be included. Several guest characters had been previously announced for Runbow. Shovel Knight, Rusty (SteamWorld Dig), Juan and Tostada (Guacamelee), Swift Thornebrooke (Sportsball), Scram Kitty (Scram Kitty and his Buddy on Rails), and Bit.Trip’s CommanderVideo and CommandgirlVideo were revealed back in April.